We no longer breed or carry Maltese puppie. However, we do have the Parti Yorkies and Biewer Yorkshire Terrier al a Pom Pons that are White, tan and black. Hoodies, Hot Cocoa, Boots, Jeans and Cuddling your new Maltese. These are our Tiny Maltese Puppies for Sale. Our Teacup and Toy Maltese are all family raised in the homes of our friends and family. When the the Maltese Puppies are ready to leave their moms, we bring them to our house for pictures and microchipping. The puppies have health records and are seen by a licensed vet. They receive a lot of play time in our family room and outside in our backyard, if they have had all their shots. 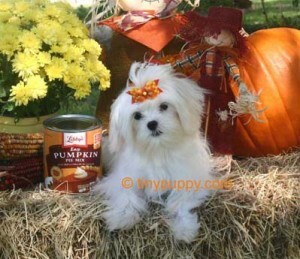 Your Teacup Maltese Puppy is waiting for you to give it lots of love and a happy home like they had at tinypuppy.com. We hand deliver our tiny teacup Maltese puppies to your nearest major airport. New Maltese Puppies are Here. Two more coming on Tuesday. Click on the contact us form above and send us your information and be one of the first to see them. Click on Puppy Name for More Pictures!